It is I — substitute host, executive producer, and clippable discount coupon Marc Hershon — filling in for regular host and spanking new parent Tyson Saner! Well, he’s not literally spanking his newborn baby. That kind of thing is frowned upon in modern society BUT that IS to say that — since I last spoke to you in previous Epi186 — Tyson and his lovely wife, Laura, have recently welcomed their new son into the world! 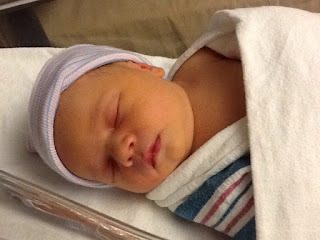 As as when T-man will be back in front of the Succotash microphone, he’s predicting sometime in early March – the soundcasting world can get a little…wiggly…when it comes to timelines and schedules. But, until he returns, I shall endeavor to fill the void. And this time around, the void is being filled with THIS Succotash Chats Epi 187! My special guest is comedian/actor Frank Cronin, who I chatted with the other day via Skype as he had just completed a rather amazing 500 mile trek, on foot, from San Francisco to Los Angeles. It took him 41 days to make the trip, and it was not because he doesn’t own a car but rather to raise awareness for the plight of the homeless in this country. Frank was able to raise twenty thousand dollars for Homeless Health Care Los Angeles (https://hhcla.org/) and found the experience to be rather eye-opening…and almost eye-losing as well. More on that as we get into our chat in a moment. You can follow him on Twitter and Instagram @GLOWPUNK. You can also still donate to his Rough Set GoFundMe page or give directly to the folks HE’S giving his money to: Homeless Health Care Los Angeles. This episode of Succotash is brought to you by Henderson’s Scavenger Slax and Trumpoetry.com — but please remember that these are pretend sponsors only and that Succotash is 100% listener supported. You can help us to keep the mics cranked up by clicking on the donate button on the upper right of our homepage and kicking some cash into the kitty. Or use the Amazon banner at the top of our site to do your online shopping and they’ll give us a little taste off the top. Or you can purch some merch at our Succotashery – a spiffy hat or handy mug, perhaps – and that helps to offset production costs as well. If ponying up some scratch for your favorite Comedy Soundcast Soundcast isn’t in the cards, how about just a few moments of your time to get up to iTunes and grant us a 5-star rating and a glowing review? Costs you nothing but may be just the thing to pull this show into the limelight so that other listeners can find us. That about does it for Succotash Chats Epi187. 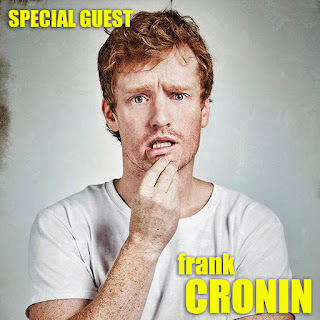 I want to think our special guest, Frank Cronin. And remember that our main main, Tyson Saner, will be back here in the big chair before you know it. Until then, you’re stuck with me, so I hope that’s all right. In the meantime, please remember, for all the people you know, to pass the Succotash!